A few days ago my colleague asked me to help him figure out why his Wordpress website was running so slow. Everything seemed fine, the CPU was not busy, the memory was not used much. It was not the network issue because its ping time was very fast. The MySQL database was not slow either. So it was hard for me to debug. The site returned 504 error initially, but it sometimes could load the page (after a long wait). I checked the Nginx error log and found that the upstream connection was not responded. So it must be something wrong with the PHP code. I tried many ways which I found on the internet but no success. Most of them were about increasing the timeout or the execution time. By doing that, the page could load but it was still super slow (it loaded in > 1min). We have been told many times that modifying live database should be done with extreme care, we should always make a backup before doing something big to the database. However, there are countless stories on the Internet about losing data due to various reason, one of them is forgetting to create a backup (Gitlab is an example: https://about.gitlab.com/2017/02/01/gitlab-dot-com-database-incident/). I was facing the same issue when upgrading MySQL server to a new version. Luckily I was able to restore most of the data but it was still a very good lesson for me. One of lesson I learned is how we could restore the data from the *.ibd and *.frm file. Amazon Web Services (AWS) is a cloud platform that offers a wide variety of services including computing power, database storage, content delivery and other functionality that targets businesses of all sizes. One of their database solutions includes the Amazon Relational Database Service. Amazon RDS includes a number of popular RDBMSes, including Amazon Aurora, PostgreSQL, MySQL, MariaDB, Oracle, and Microsoft SQL Server, as well as tools to manage your databases and monitor their performance. Despite the wide range of metrics available within the Amazon RDS console, there are some very good reasons for using your own monitoring tool(s) instead or in addition to those offered by Amazon RDS. For example, familiarity with your own tool(s) or access to features that Amazon RDS does not provide would constitute two persuasive reasons for employing a local tool. We saw in the previous post how we could deal with high availability (HA) and read-write split using MaxScale. If the result is 0; the server is not providing the EXPORT cipher; and as such is not vulnerable. Configuring MySQL Server, with the dozens of options available, has always been perceived as a bit of a black art. In MySQL Database 5.6, configuring your MySQL server for optimal performance is easier than ever before. 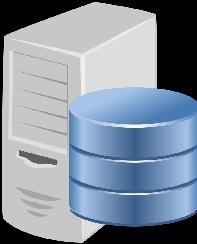 In the MySQL for Database Administrators course you can learn more.